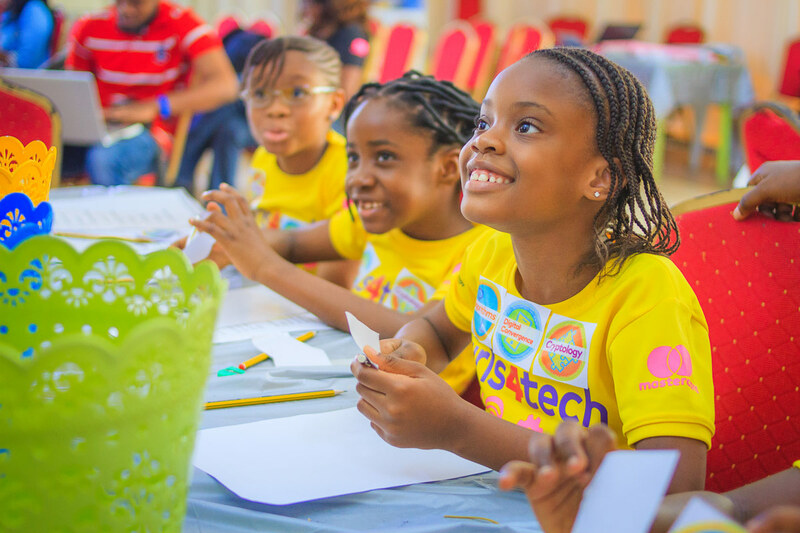 Girls4Tech is a Mastercard signature education program launched to drive the interest of young girls in science, technology, engineering and math (STEM). The training content is designed to teach participants curiosity, develop an innovative mindset and take a smart approach to solving everyday challenges using technology. Ultimately, the program aims to help bridge the skill gap in the technology industry. It is tailored for girls in primary school, using basic technology and a training kit that effectively drives learning and engages curiosity. While Mastercard has operated Girls4Tech across the globe since 2014, YTF joined as a partner for the first launch in Sub-Saharan Africa, starting in Nigeria and Kenya in late 2017. In many African countries, neither the educational curriculum nor the community encourages girls’ interest in STEM subjects. This lack of persistence in subjects in which the student is truly interested most often results from a lack of positive, strong female role models teaching STEM subjects or working in STEM fields. With this lack of role models in the classroom and community, girls are not exposed to STEM education, experiments and ideas, topics, or women who are successful in STEM careers. Our goal for this partnership with Mastercard is simple: Help girls identify and experiment with STEM-related career paths so students are prepared for the jobs of the 21st century. 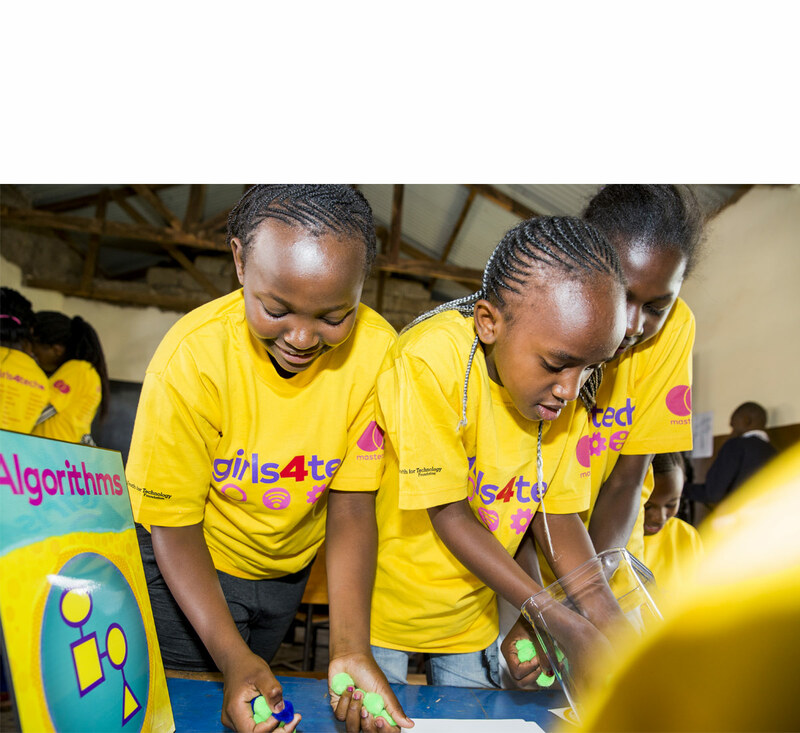 The Girls4Tech training is based on three career stations – cryptology, digital convergence and algorithms. At each station, participants get a chance to explore and experience the technologies that underlie the foundations of modern day digital systems, all using Mastercard technology as examples. At this station, students are taught data encryption and security using encrypted code names. The lesson is based on the Navajo Code Talkers Dictionary. Students are challenged to decrypt words coded into Navajo words to form meaningful sentences. This challenge inspires the students to understand the underlying logic and rules of modern-day technologies. It relies on students’ curiosity to simplify knowledge through data encryption and pushes them to be innovative. In a nod to potential future career paths, the cryptology lesson teaches girls the concept of developing security solutions. The digital convergence station teaches students the evolution of modern technologies and how these technologies have converged into smarter devices. It challenges students to track over time changes which have all converged into one device – the smartphone. Early innovations featured cameras, currency notes, discs, music players, and recording devices as independent products. Improved technologies introduced smartphones which can perform most of these previously separate functions with ease and produce excellent results. Improvement in smartphones has also featured smart, secure and quick payments using fingerprints and face identification technologies. The digital convergence workstation is aimed at inspiring students to be innovative in developing solutions that solve environmental and human challenges. Development and use of algorithms is a common trend in modern day technology. Algorithms are often used as a better way to solve challenges with less time while producing great results. Algorithms drive smart technologies. Teaching algorithms to students is aimed at building their mindset to developing sustainable solutions. At the Girls4Tech event, students are challenged to develop an algorithm for counting color cards of red, blue and green. As a basic algorithm challenge, it is expected to take less time to count the cards and arrive at accurate results. After a period of brainstorming, the students are grouped to count the cards separately according to the colors. This approach increases productivity as well as teaches collaboration which is necessary for a successful career in STEM. Girls4Tech takes a basic approach to teach advanced concepts of modern day technology. It adopts a student-friendly interactive process to inspire curiosity, an innovative mindset and collaboration among girls. A certificate of training is issued to students as a mark of reward for acquiring knowledge in STEM.